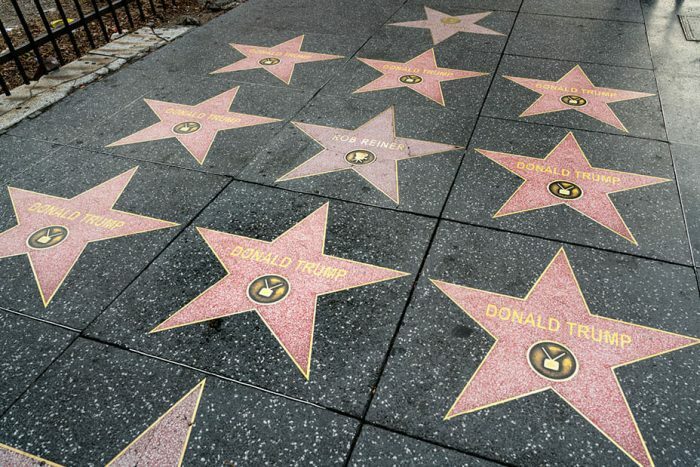 (Gateway Pundit) A group of anonymous right-wing street artists has multiplied President Donald Trump’s Walk of Fame star on Hollywood Blvd., following the destruction of his real one. The group used 30 vinyl laminated Donald Trump stars to fill in blank squares along the path, which cost them roughly $1,000 to have printed. Previous articleWhat Did Michael Moore Mean When He Said That Donald Trump Will Be “The Last President Of The United States”?